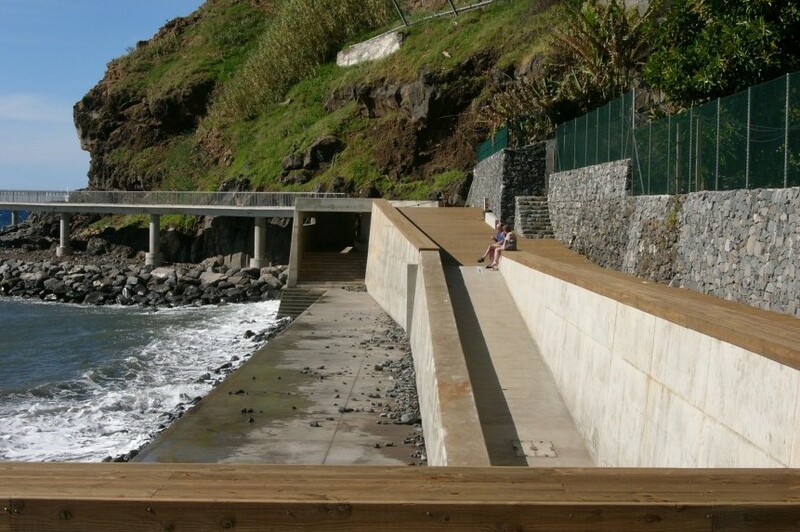 The coastal promenade ‘Praia Formosa’ connects the beaches ‘Formosa’ and ‘Socorridos’ on the island of Madeira on a length of approx. 2km. 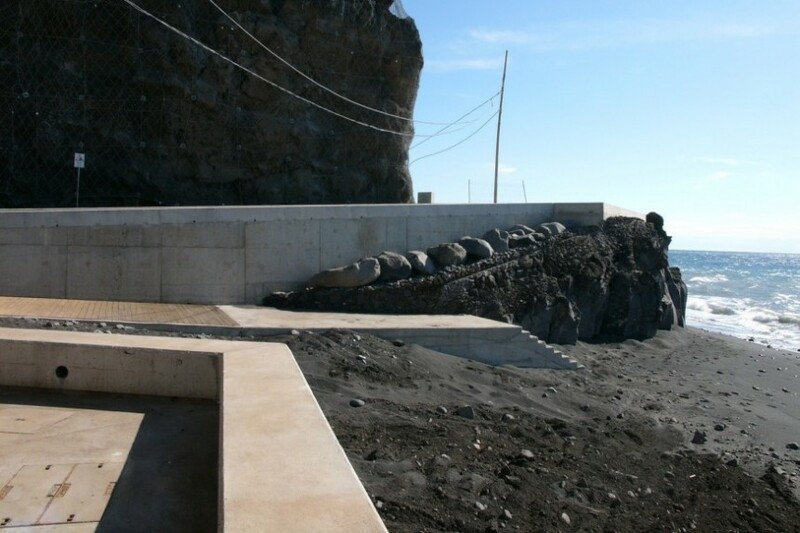 Introduced not only as an element of connection but also to facilitate the contact with the rough sea breaking against the rocky coast and to experience the rich geological and biological range of phenomenas the area offers, the pathway was designed in a manner to leave the elements it aims to reveal ‘intact’ Eight meters above sealevel just out of the range of the powerful weaves the pathway builds up a connection between various structures and elements such as hotels and port-installations and also industrial sites situated between the two beaches. 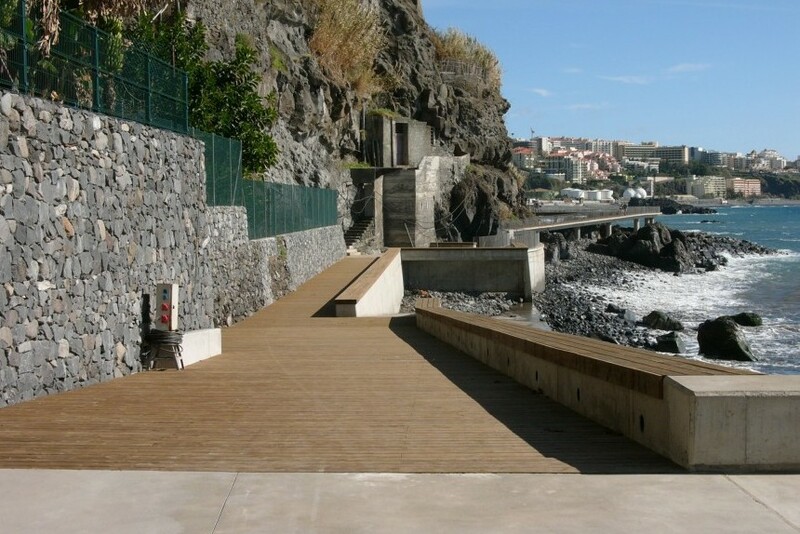 The promenade is structured by three constituional elements: the concrete pathway, the wooden platforms and the concrete platforms. 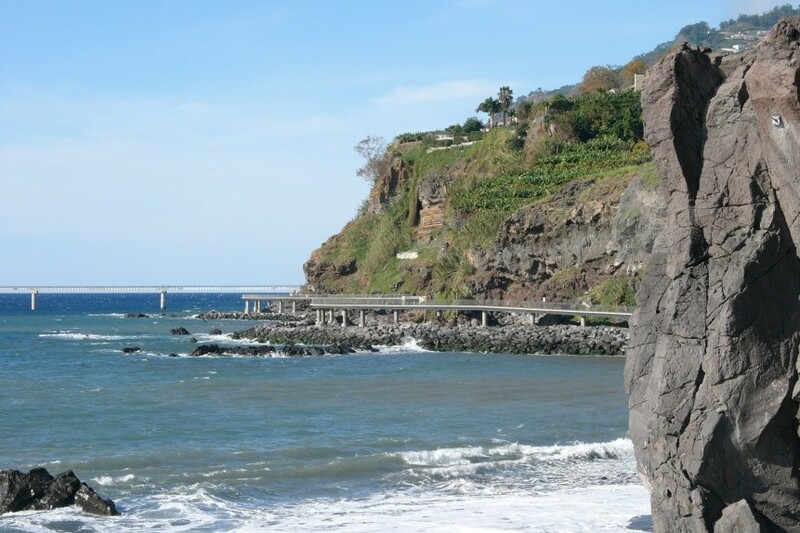 The concrete platforms are forming anchoring points of the pathway, appearing at it key-situations: the beginnings, the turning points and where the pathway meets the sandy bays of the beaches. 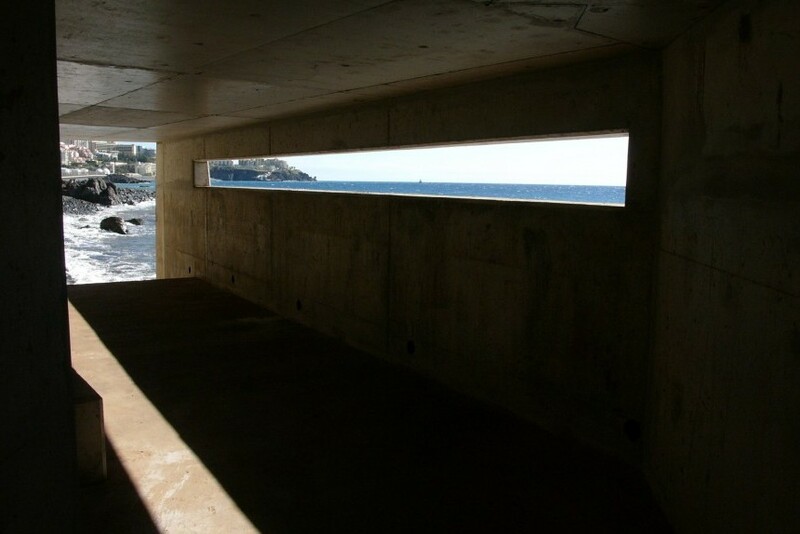 They provide the access to the beaches and serve as places of shelter with a design inspired by the ‘bunkers’ of the Normandie or as ‘service-points’ in form of bars, showers and toilets. 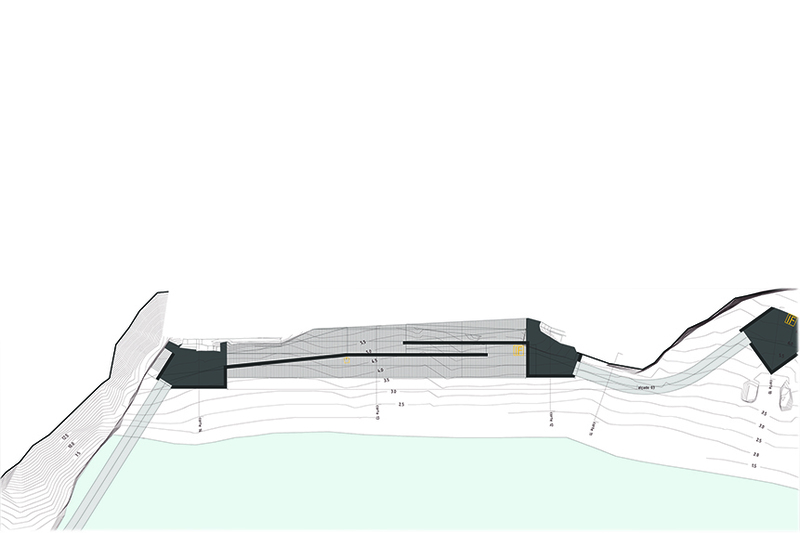 The wooden platforms interrupt and structure the pathway and offer areas to rest. The material though resistant as well as conveniant for cicling and walking breaks the hard surface of the asphalt pavement. 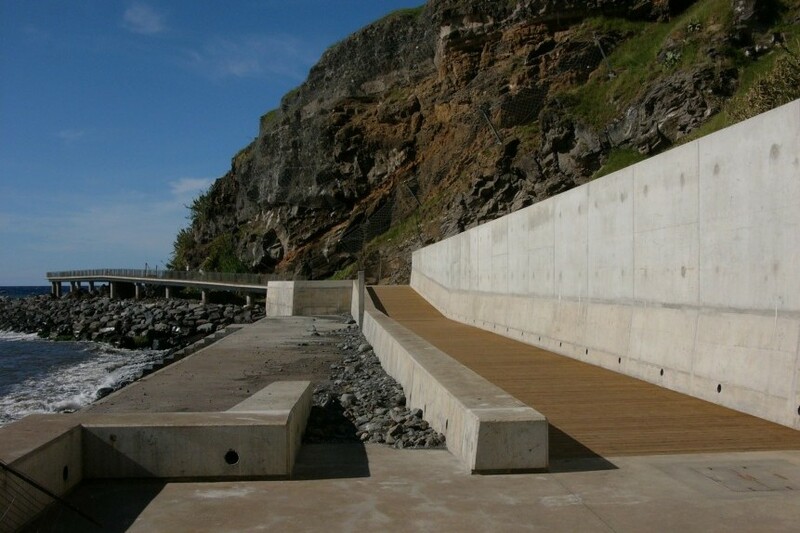 The walkway consists of prefabricated concret modules with an ashalt pavement finishing. 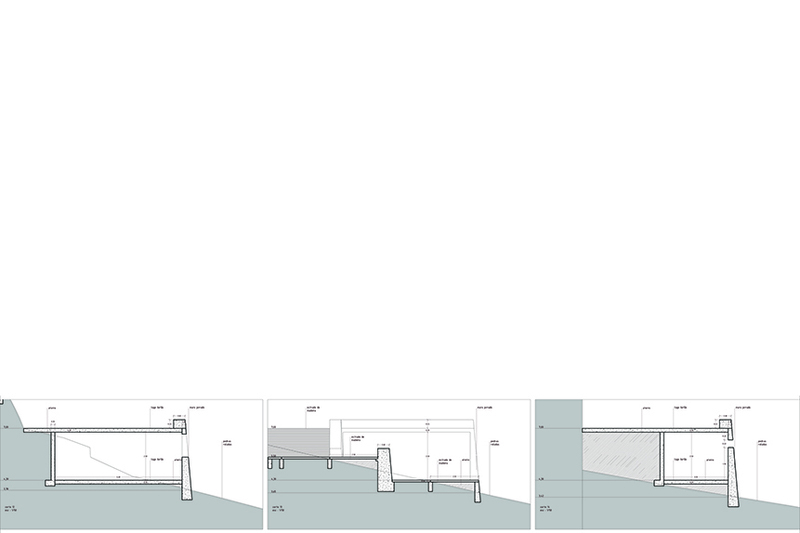 They have a length of 12m each and are based on concrete pillars. 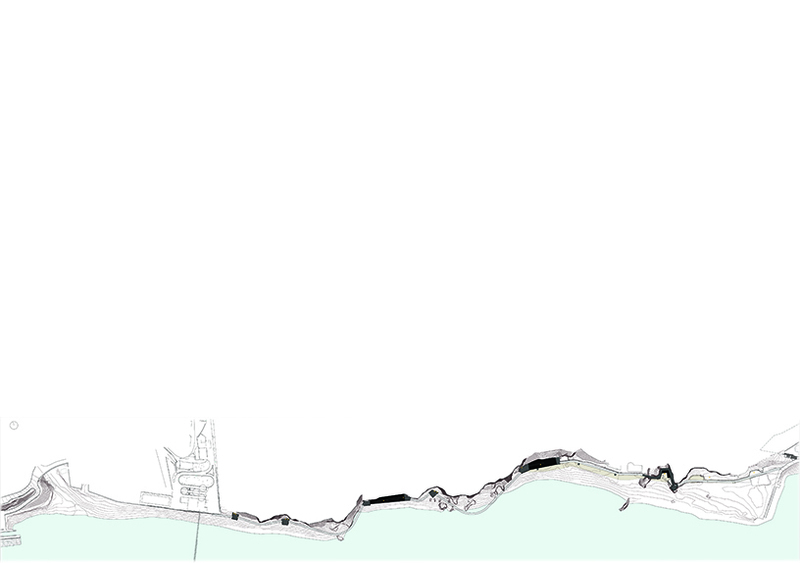 This solution implies a minimum environmental impact on the rocky coastline during construction and for the project itself. 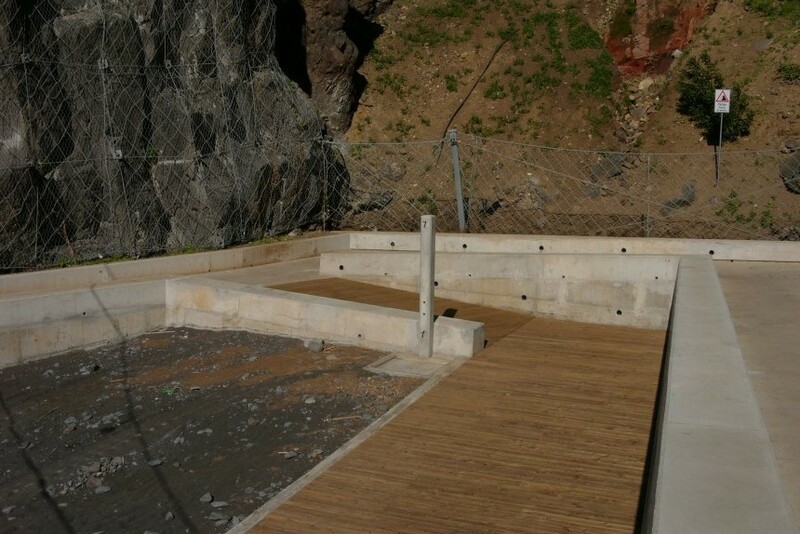 The pavement, drainge elements and handrails are installed posterior.